DuckDuckGo bills itself as “the search engine that doesn’t track you”. After the revelations in the US National Security Agency files, that sounds tempting. Named after the playground game duck duck goose, the site is not just banking on the support of people paranoid about GCHQ and the NSA. 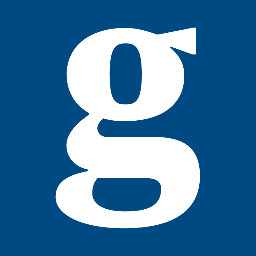 Its founder, Gabriel Weinberg, argues that privacy makes the web search better, not worse. Since it doesn’t store your previous searches, it does not and cannot present personalized search results. That frees users from the filter bubble – the fear that, as search results are increasingly personalized, they are less likely to be presented with information that challenges their existing ideas. It also means that DuckDuckGo is forced to keep its focus purely on search. With no stores or data to tap, it cannot become an advertising behemoth, it has no motivation to start trying to build a social network and it doesn’t get anything out of scanning your emails to create a personal profile. Having answered one billion queries in 2013 alone, DuckDuckGo is on the rise. We asked Weinberg about his website’s journey. Why did you set up DuckDuckGo in 2008? DuckDuckGo didn’t come out of any real direct motivation to start a search engine. I had come off my last company in 2006, [The Names Database, a social network that Weinberg sold for $10m], and I was focused on a bunch of personal projects. One was fighting spam in search results. There were a lot of sites that were just obviously spam in Google at the time, but they seemed pretty easy to identify. Another was crowdsourced data. I found myself going to Wikipedia and IMDB a lot, sites that used crowdsourced data, where you just get answers. The third leg was that I went to this stained-glass class, where they handed out a list of links that were the best places to go for more information on stained-glass production. They didn’t match the Google search results. So I started a third project about getting the links out of people’s heads, to find out where the best stuff was. 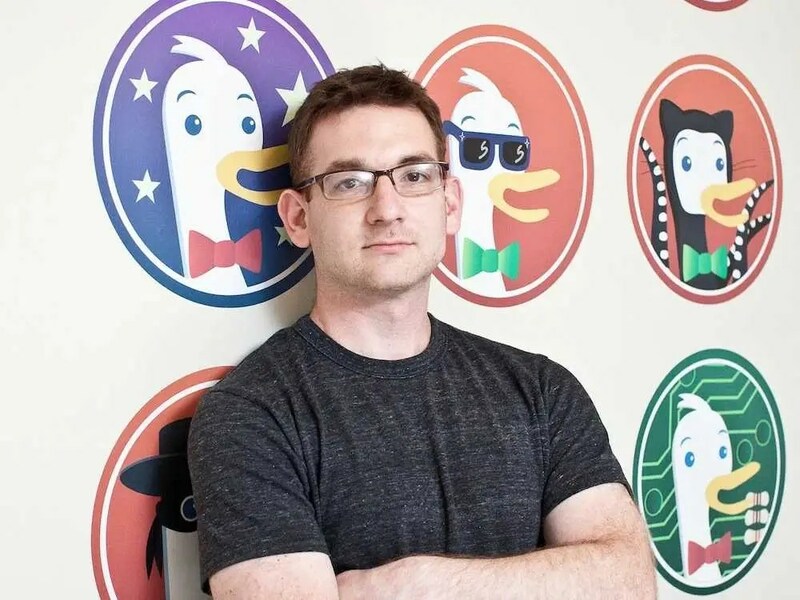 DuckDuckGo is based in the small town of Paoli, Pennsylvania. How much do you think that the location puts you outside the general Silicon Valley milieu? Yeah, we don’t feel connected to that scene. I’m not actually from here, interestingly enough. My wife and I picked here together to move to because we thought it would be a good place to raise a family and for other, deeper reasons that don’t make sense to people outside the US. I think anyone in a similar position in Silicon Valley would have raised a ton more money a ton earlier. But that hasn’t been our focus. And also, just look at how we’ve got 75% remote workers. That’s a very non-Silicon Valley thing to do. Normally you hire the best engineers that you can out of Ivy League schools and bring them all in one place so you can get them in the company. Yes, I do think that’s fair. I don’t think it’s a fad. One of the big things people have noticed in the last year is the ads that follow them around the internet and that’s perhaps the most visible notion of this new tracking mindset that most companies are adopting. Those trends are not disappearing. More tracking on the internet, more surveillance, so I think as people find out about it they’re going to be wanting to opt out in some percentage. When you started, your sole aim was to build a better search engine. When did you decide that privacy was crucial to that? Instant answers and spam filtering were really the initial focus there and still are in terms of product differentiation. But very quickly after that – I would have done it from the beginning had I actually thought about it, but I hadn’t – was privacy. The data that you share with your search engine is the most personal data. Because you don’t hold back with your search engine. You don’t think about it in that context. You think “oh, I’ve got a financial problem … just type it in!” And so, that search history is really personal. It has [also] increasingly been used for marketing, it is available to subpoena and, as we know from the last year, it’s also available through other hidden means for surveillance. Most money a search engine makes comes from showing an ad for something commercial like a car or shoes when users search for them, and it doesn’t impact that business model to not track. Why not just anonymise the data you collect, rather than offer totally incognito searches? The reality shows that every time someone had tried to anonymise data, it’s been a failure. As long as you can tie searches together and you keep any shred of the information, any personal information that can tie things back to you, then I think it’s not truly private. Are you against tracking on a personal level, or is this just business? The other way to look at that is I think they should have a quid pro quo, which is “you’re giving up this particular piece of personal information and you’re getting this benefit in return”, as opposed to the current status quo, which is “we will collect anything we can and not tell you what the benefits are”, just say, in general, “sure, you’ll benefit from this”. I think that is the key difference. And you’ve seen some companies start to move to this direction, but very slowly. Is it possible to make a good search engine without collecting Google levels of data? I believe you can switch to us today, and you’ll be fine. And people are. And you can have a better experience! But also, if you look at your Google searches and what’s coming up, really the amount that they’re using your search history to change the search results is minimal. They are not really using that data currently to improve your search results in any significant way – as far as we can tell. They’re using it for other things. They’re using it to track you across the ad network. Does that mean you’ve backed off a bit in your fight against personalised searches? We’ve not backed off! I guess to restate my case I don’t think that personal data, that personalization, has been very useful.The case that everyone mentions is when, say, you type in the weather or you type in pizza and you want local weather or a local pizza place. Do people eat pizza in the UK? I figured so. So, we can do that in our instant answer box – using your location on the fly, and not store it – and not change the actual link results. So I think most of what people want that they call personalization is really localization and we can do that without tracking people. You’ve said before that tracking might be used to charge people more if their profiles reveal they have a lot of money. Is that something you can really see happening, or is it a worst-case scenario? It’s real, and it already is happening, and will be increased. My general view is that if information is out there that can lead companies to improve their profits, then they will do so unless it’s regulated against. So I definitely think it’s out there, I think people just don’t know that it exists yet.